Verdict: Bakwaas Movie. Waste of Time. Please write descriptive review as possible. 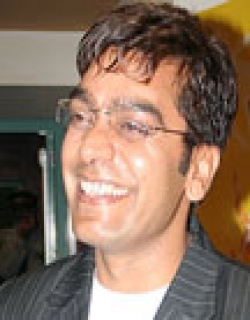 Do not copy content from other websites. Write unique review. If you are writing spolier, please do select the checkbox. Please do not advertise for another website or spam. HTML code is not allowed. We moderate all the reviews. Your review may be edited or deleted. Ab Tumhare Hawale Watan Sathiyo is a 2004 Indian Bollywood drama film released on 2004. The film is directed by Anil Sharma, produced by Anil Sharma. 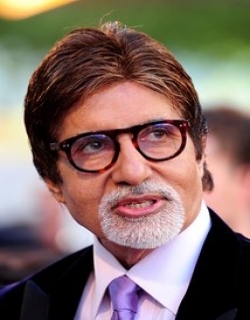 Major General Amarjeet Singh (Amitabh Bachchan) is a dedicated officer for the Indian army. 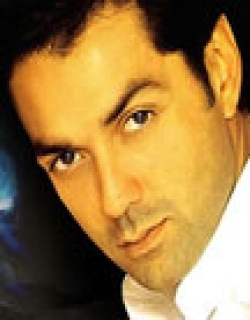 His son Lieutenant Commander Vikramjeet Singh (Bobby Deol) follows in his footsteps and joins the army. Amarjeet is extremely proud of Vikramjeet but tragedy strikes when Vikramjeet is killed in action. Many years pass, Vikramjeet's son Captain Kunal Singh (Bobby Deol) joins the army but has no intentions of remaining there. He instead plans to leave, settle abroad and earn lots of money. Amarjeet is disappointed with Kunal as he hopes his grandson would do something to honour his deceased father. Kunal comes across a desert party and sees Shweta Bhansali (Divya Khosla). It is love at first sight for him but she totally ignores him and does everything to avoid him. However she is doing this for a reason- she was once married. Shweta fell in love and married Major Rajeev Singh (Akshay Kumar), unfortunately he was deployed for action on his wedding day and he had to leave his newly wed bride. That was the last time she saw him. Rajeev has in fact been captured by Pakistani officers, when he refuses to give info on a military operation he is tortured. Eventually Rajeev and other POW's manage to escape. -- Check out this page for more updates on Ab Tumhare Hawale Watan Sathiyo. Oops, we do not have information on videos. This content is contributed and edited by our readers. You are most welcome to update, correct or add information to this page.You can send us missing information by contacting us. No Critic Review info for this movie yet. This is nice movie. I liked it. This page provides latest and updated information about Ab Tumhare Hawale Watan Sathiyo (2004) movie which released on 2004. Ab Tumhare Hawale Watan Sathiyo (2004) is directed by , produced by , starring .We have also provided 0 trailers and videos, 3 photos, 34 user reviews, and 0 critic reviews.Ab Tumhare Hawale Watan Sathiyo (2004) has received 1.2 rating from user reviews.The overall rating of Ab Tumhare Hawale Watan Sathiyo (2004) is 24 and movie is 1.2.You can review, like, dislike this movie and also can add to favorites. You can also find information on showtimes, CDs, DVDs, online rental, online free watching. Disclaimer: All logos and pictures of various movies, celebrities, channels, shows, media houses, companies, brands etc. belong to their respective owners, and are used to merely visually identify the movies, celebrities, channels, shows, companies, brands, etc. to the viewer. Please contact us if you have any issues. Filmiclub provides free movie and TV shows reviews right in your inbox. Subscribe now! Copyright © 2019 FilmiClub All rights reserved.